Rodtrip - Rodtrip is now live ! Today, we are very pleased to release the Rodtrip website! Welcome everyone ! After many months of work and tests, our website is finally ready and up and running ! 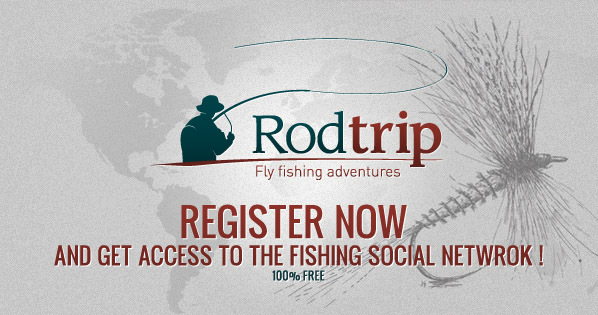 The purpose of Rodtrip is to be an open social network for fishermen and to encourage them to communicate their passion even more through their stories, extensive testing of materials or gear, techniques and share them around in an active community. Initiated by an avid fisherman and photographer, this site aims to maintain a continuous source of quality information for fly fishing enthusiasts. Here you will find the best of the fly fishing around the world for an endless source of inspiration. We want this site to be an open place for fly fishing lovers, our goal is to put our readers in first place and let them take part in this project by participating in the forums, be part of the network(register) or by submitting content to us, pictures, rodtrips etc. Feel free to contact us, we will be happy to answer you. We really hope that you will like our project, and please give us your comments, also through e-mails or Facebook messages. Thank you and welcome to Rodtrip. I like the design of the website. Congratulations!! !